Though football season may be over, you can still keep your dream of becoming a pro quarterback alive with this Virtual Distance Football. 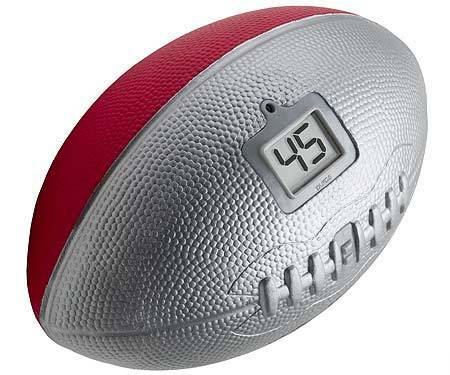 It resembles a Nerf football with a monochrome LCD shoved in it to display yardage and comes in red and silver. Throw the football and it’ll show how long you bombed it. Basically you can either play football with it, or you can show off to your friends how fantastic an arm you’ve got. Either way, it looks like loads of fun and I might have to buy one for summer pick up games. You can grab it from the Discovery Store for $19.95.